Holy Spiritus Constantine Brass Knuckle Paper Weight. These steel knuckles are thicker and heavier than most knuckles weighing 0.55 LBS, which is more than half a pound! 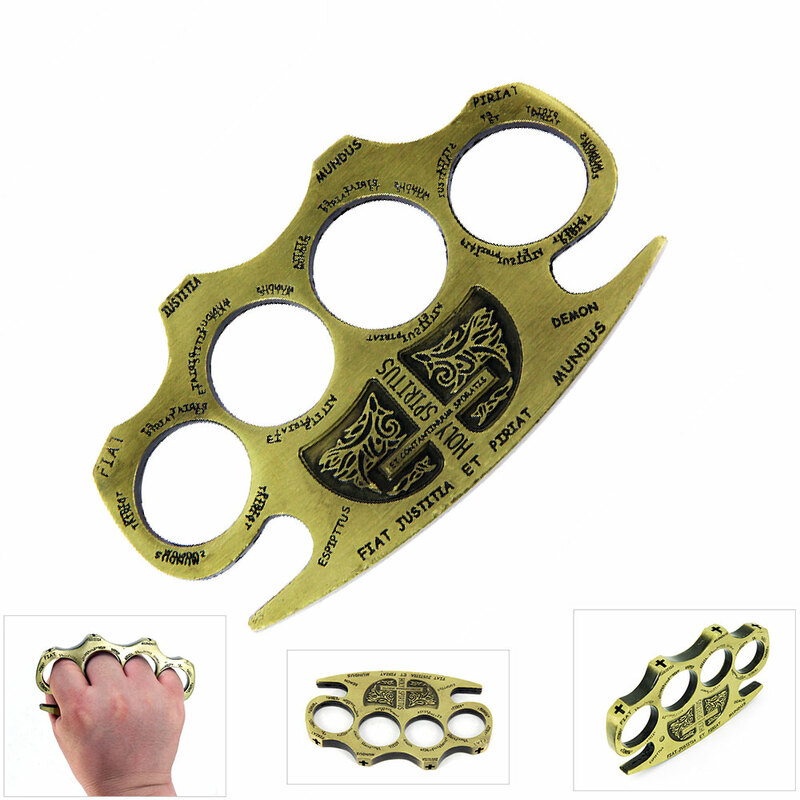 Our Holy Spiritus Constantine Brass Knuckle Paper Weight's help you insure justice is served, by your hand or in your office. Made of a antique brass finish Steel and featuring the four knuckle tops they are of premium quality. Many martial arts specialists use these paper weights in training and for self-defense purposes. These large size Constantine brass knuckles movie replicas of the ones used by John Constantine. These steel knuckles are thicker and heavier than most knuckles weighing 0.55 LBS, which is more than half a pound! Constantine's brass knuckles are made from gold that was blessed by a bishop during the crusades.